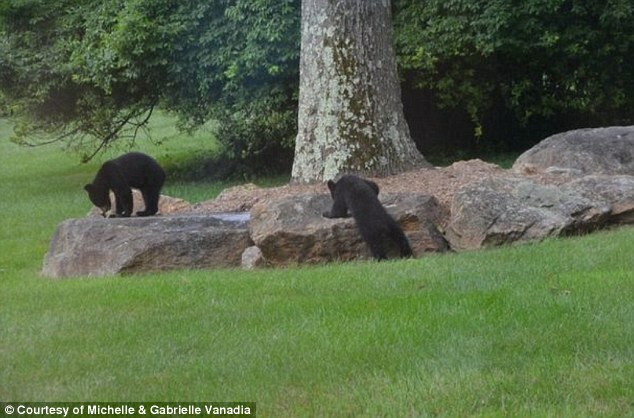 Maryann Vanadia came home with her daughters, Michelle and Gabrielle, to find a momma bear and her two cubs rummaging trough their trash, playing on their rocks and even exploring their playground slide. "It was wild to see," Vanadia said. Vanadia had just parked in her driveway when she saw the bears.Their garbage can had been tipped over, and the larger bear was poking around in it, searching for lunch. Then it was playtime. "I've seen trash spewed out on the backyard before, but never have I seen bears out there when they're doing it," Vanadia said. 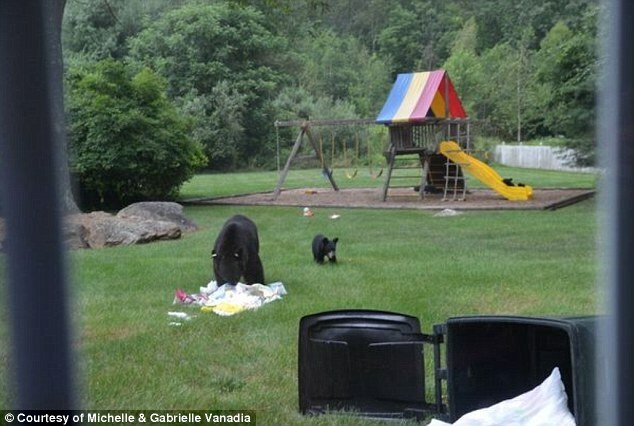 The bears were in the backyard about 20 minutes, and Vanadia's children snapped about 70 pictures from their nearby garage, capturing a moment they weren't likely to forget anyway, she said. 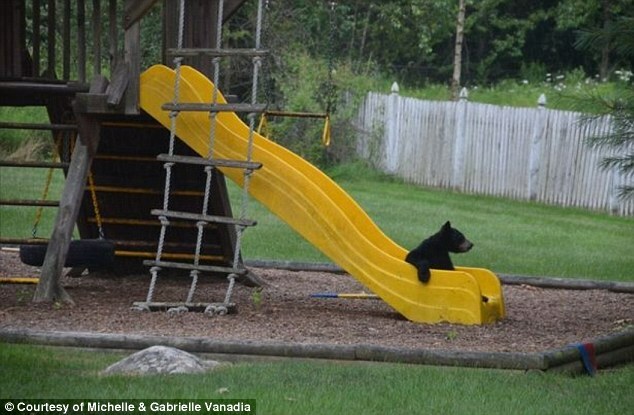 Responses to "Super Cute Wild Bear Cubs Playing On A Backyard Slide Will Melt Your Heart"
They sure look like they are having fun. So cute. Thank you for sharing this. 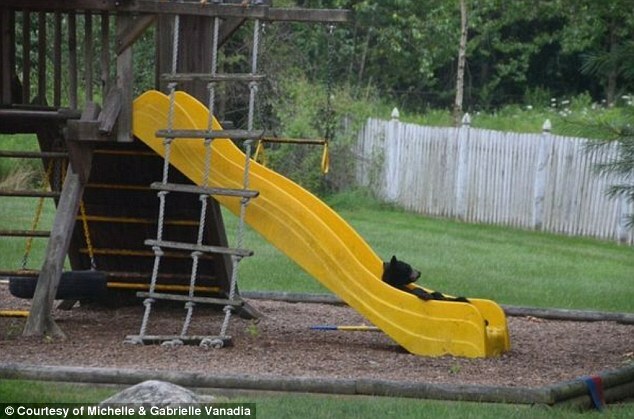 I wonder if they have watched the kids play on the slide (from afar) and took the opportunity to have fun too when they got the chance!